In order to start the real inclusion of users in biokinesis, I have begun to test some of the assumptions that I have had to use in order to move the project forward. The main issue in terms of the interface is the proposition that it is possible to create a universal understanding whilst employing non-representational visual and haptic feedback. I was lucky enough to be recommended a TED Talks video of V.S. Ramachandran speaking about on the brain, and specifically synesthesia (Thanks Mimi!). The insight regards the Fusiform Gyrus is essential to my project, and I have intuitively been working in this area. I decide to test some of these assumptions over a small section of 12 people in order to see how I should proceed in a larger test. 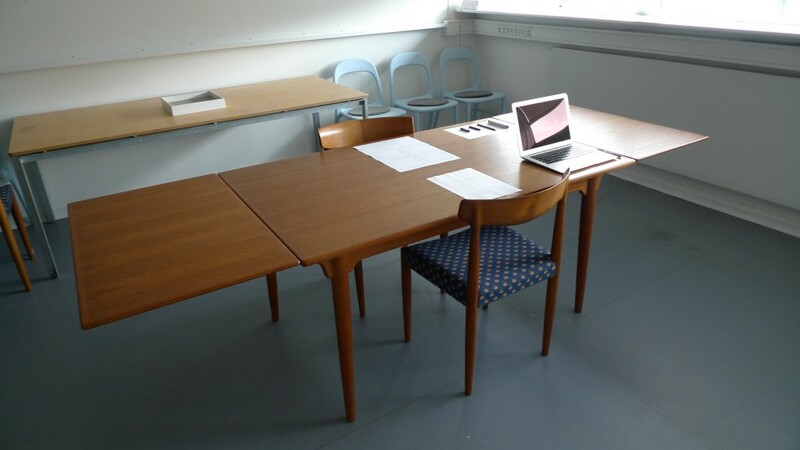 In retrospect, this room setting was probably a little formal, but an issue that I thought may have been troublesome – using design students only – was excellent due to the ability of the subjects to draw without over thinking (! ).